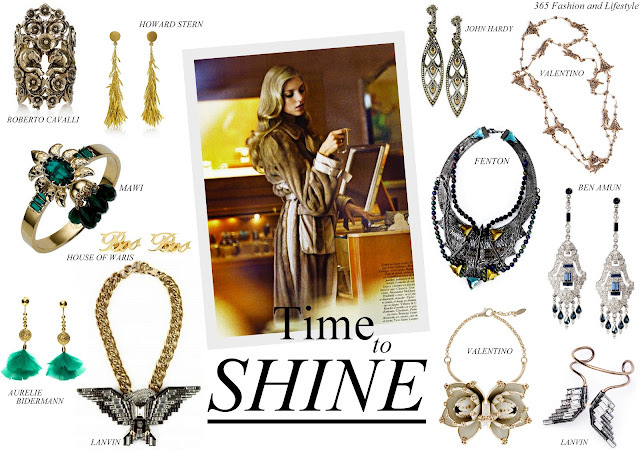 365 Fashion and Lifestyle: Time to SHINE. All this season's statement jewelry. Time to SHINE. All this season's statement jewelry. I am all about statement jewelry. It doesn't matter if I am wearing a white t-shirt, a pair of jeans and the most comfortable Tod's, or a black dress. Statement jewelries always have the power to complete and highlight any outfit. And for that, I always know that I can count on FENTON, FALLON, MAWI or AURELIE BIDERMANN. By far, my favorite brands and life saviors if I am looking for something amazing to get me out of the trouble.